The space wolves have always been a curious and brutal legion of the Space Marines: an army of genetically modified meta-humans that journey across the stars wreaking havoc and holy war in the name of honour and their ‘god emperor’. Even by the warmongering standards of the Space Marines, the Space Wolves are deemed brutal, backwards and overly fierce. So by this alone they make for some fantastic reading. To fully appreciate where these stories go you need to wholly give yourself over to the ethos and canon of the Warhammer 40,000 universe. You need to understand that the human faction (in contrast to the multitude of alien or ‘xeno’ factions) aren’t the pacifistic and outgunned race that are portrayed in most science fiction literature and film – they are a (if not the main) threat to every other race. Their quest to rule the galaxy and expunge the filth of alien races can be seen as ruthless and without cause but then you would be missing the point. This is very much a dog-eat-dog scenario where any sign of weakness could mean the extinction of any of the many races. With the (lengthy but necessary for the non-indoctrinated) introduction out of the way, let’s get to the war. 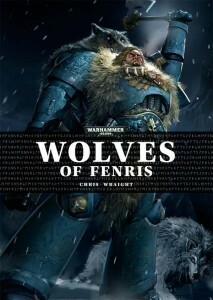 This collection of short stories by Chris Wraight covers many different time frames from the history of the Space Wolves. The stories vary in length from a couple of pages to multiples of ten and they all have their own purpose and set tone. 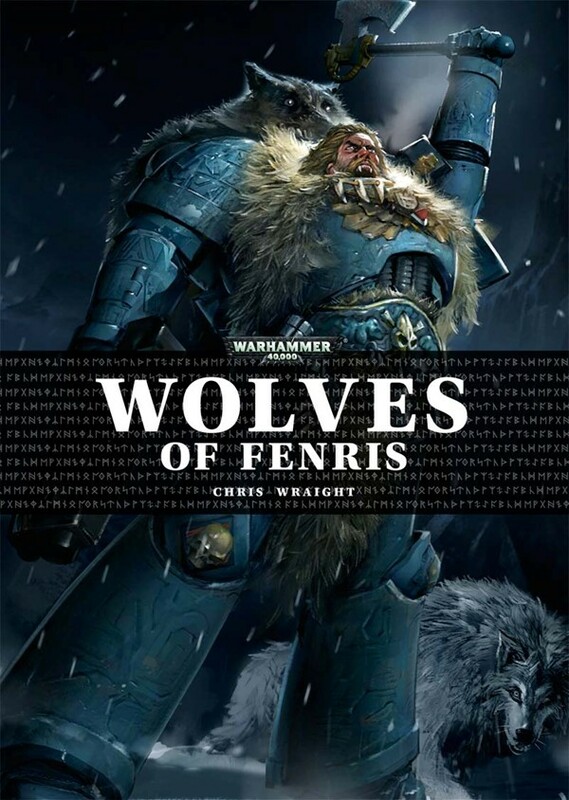 This book is a fantastic overview of the legion and their detailed history condensed into a cogent and thoughtful indication of what makes the Space Wolves….them. There is an economy of words with few creating pictures that could be mused over long after the story is finished. There are the expected gory fight scenes and the stories of sole survivors overcoming unsurmountable odds to arrive blood-soaked and suitably scarred at the end of their journey. But there are stories of internal struggle and an exploration into the mind-set of the Space Marines, what happens to those who fail the trials to become a warrior? How does one start their journey? What is the point in what they do? All of these questions are asked and explored in this compact volume. This is less a running narrative and more a collection of historical accounts that hold more weight and meaning than many books ten times their length. Stories like ‘Kraken’ and ‘Iron Priest’ will absorb you into their world and you will feel every jolt of the bolt pistol and smithing hammer alike.